A Vancouver tenant who was evicted over his use of marijuana in a rental unit lost his bid in the B.C. Human Rights Tribunal. The tenant had claimed that the marijuana was permitted for a medical condition, and that the landlord discriminated against him because of his disability. Numerous complaints were lodged with the property manager for the commercial space where the tenant leased a space. Several tenants complained about the marijuana smell coming from the unit, the corridor and the rear entrance of the building. One tenant complained that the odor was destroying her inventory of clothing. The tenant argued that he had a permit for medical marijuana because he suffered from a hand injury that caused him persistent pain. During the hearing, it was revealed that the permit was for the treatment of arthritis, a condition the tenant said he did not have. Other physicians had voiced concerns over the man’s use of marijuana and pain medications long-term for fear of addiction. The tenant further damaged his credibility when he denied smoking marijuana inside the premises, after so many others had noticed the odors. What’s more, the tenant was using scents to disguise the smells, which appeared to counter his denial. The man testified that he was unable to ingest the marijuana without side effects, and that he experienced more consistent results by smoking it. The lease agreement contains a provision that prohibited “offensive odors” or anything that may cause “nuisance, annoyance, damage or disturbance to the Landlord or other occupants” including adjacent building owners or residents. 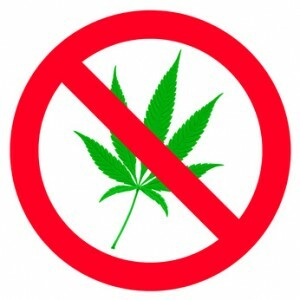 For these reasons, the Tribunal concluded that it was not necessary for the tenant to be smoking marijuana in the rental property, and that the landlord did not discriminate when pursuing an eviction.